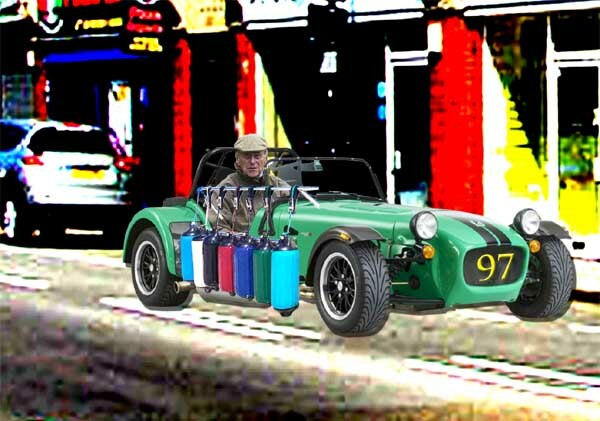 Responding to demand from a growing band of highly experienced, senior drivers, the British sports car manufacturer Caterham Cars Ltd has added a new model to its iconic range. The ‘Caterham 97’ is fitted with a turbocharged 2 litre HRH (High Revving Honda) Type R engine, producing 378bhp at 7300rpm. The company claims a 0-60mph time of 3.8s and a top speed of 148mph. Standard equipment includes 360 degree mirrors, a convenient Zimmer frame rack and 14 side impact fenders. Seat belts are not offered as most mature drivers have told the manufacturer that they don’t need them. The Caterham 97 will be on sale from February 1st for the princely sum of £45,600.